Green tea has a lot of antioxidants that benefits the body in many ways and can even be used to treat acne. Its one of the most natural ways to help your skin appear brighter and flawless. 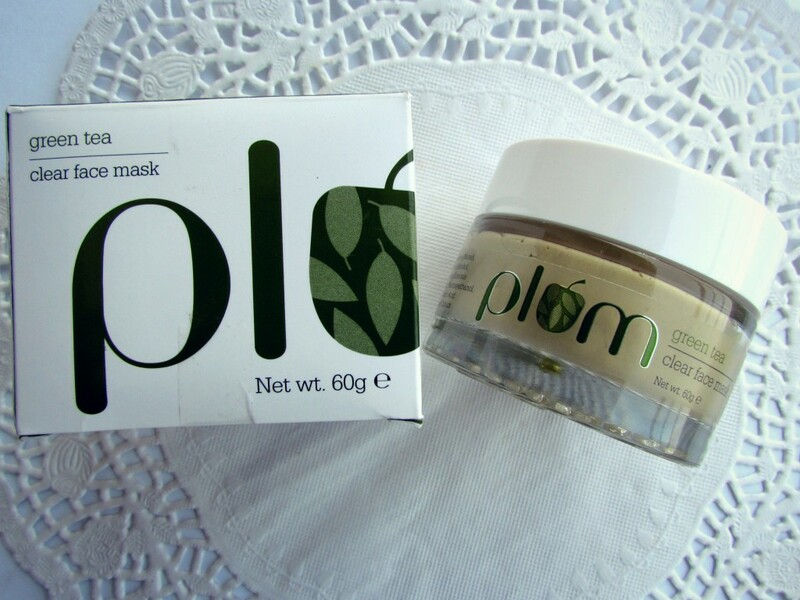 Today I am reviewing green tea mask from Plum Goodness. 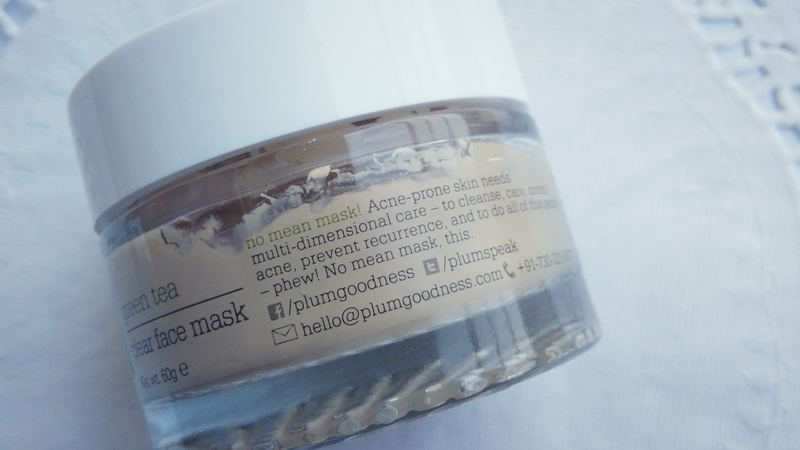 Plum is India’s first online-only beauty solution brand focused on restoring & maintaining your skin as nature made it to be. Always free of parabens, phthalates, SLS and other harmful chemicals. 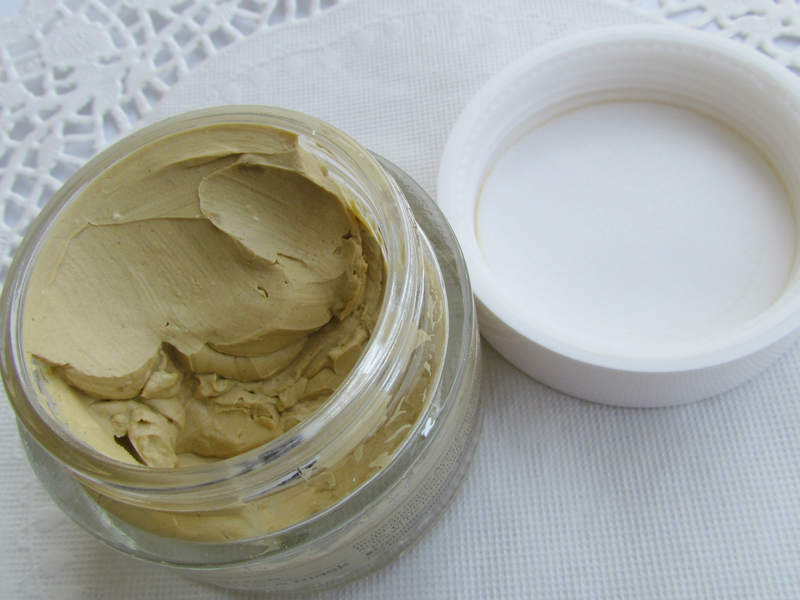 ♥ Gentle, non-drying, creamy formula works well for oily and combination skin types. 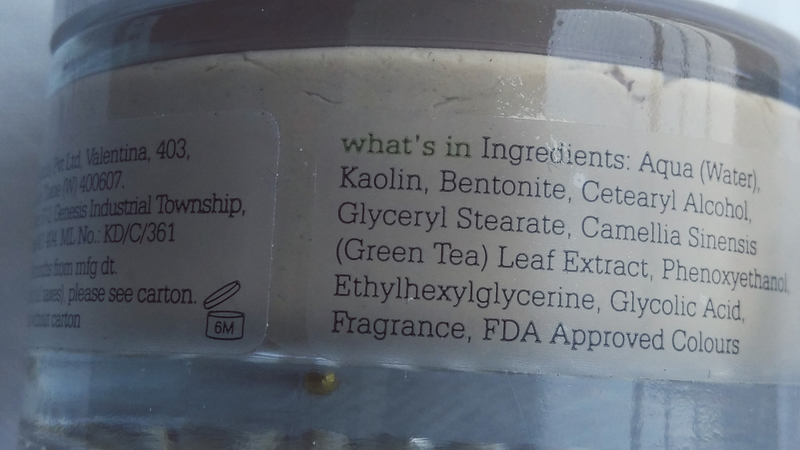 Kaolin & bentonite : Naturally occurring clays, known to be effective for absorbing excess oil, exfoliating, cleansing and refreshing the skin. Some things are best left natural. Green tea extracts : Concentrated source of polyphenols and other antioxidants, to stop the acne formation cycle in its tracks. Oxidation of skin-produced sebum is a key step in acne formation – something we are looking to stop here. Glycolic acid : Sweeps away skin debris and prepares the skin for self-renewal. Our goodness chemists know exactly what’s required to do the job without overdoing it. Please note: You are likely to experience a slight tingling sensation on your skin for the first few minutes after application – this is entirely normal for bentonite clay masks as they get to work removing the grime and dead cells from your skin. This is my first ever plum product. 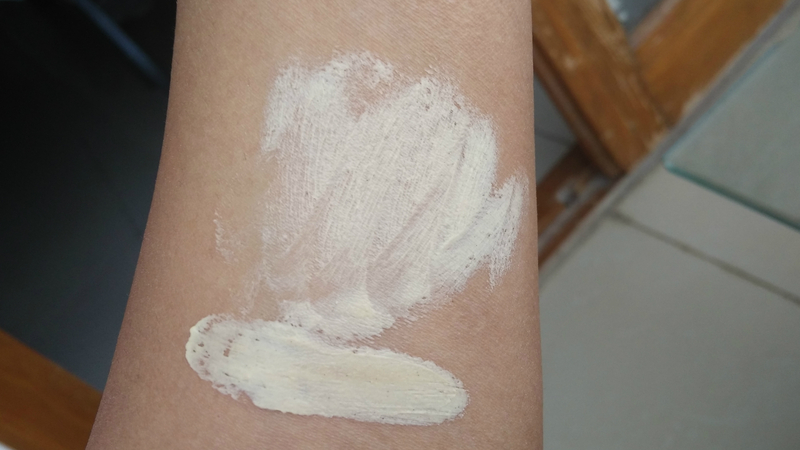 I have a sensitive – combination skin which is oily on the T zone area and dry elsewhere. This pack is very easy to use . I use my spatula to spread the pack evenly on areas except under eyes. On application, a mild tingling sensation occurs which reduces after a minute. This mask really helps in removing oiliness and dirt from your skin, makes your skin radiant and soft from the very first use. It has the scent of green tea which lingers on till the pack completely dries off which is about 10-15 minutes. This drying time purely depends on how thick a layer you have applied on your face. 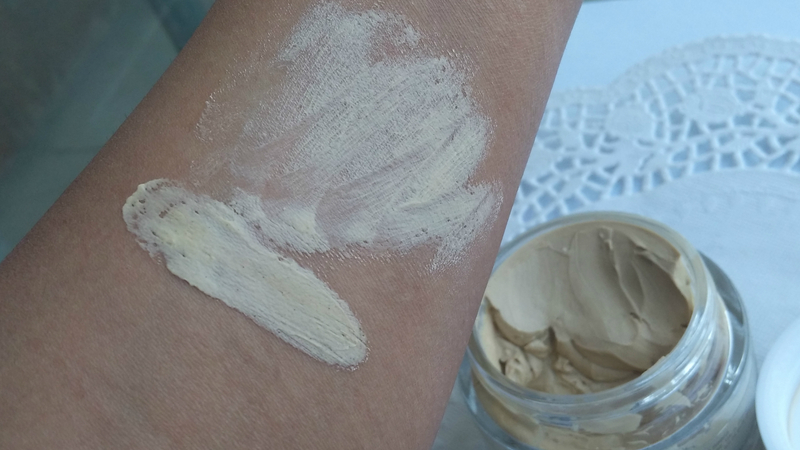 As its a clay based mask – Its little bit drying on skin. I immediately apply a thick cream based moisturizer all over my face after taking off the mask. I use this mask once a week and this works great for keeping acne at bay- soothes existing acne and dries out acne quickly. 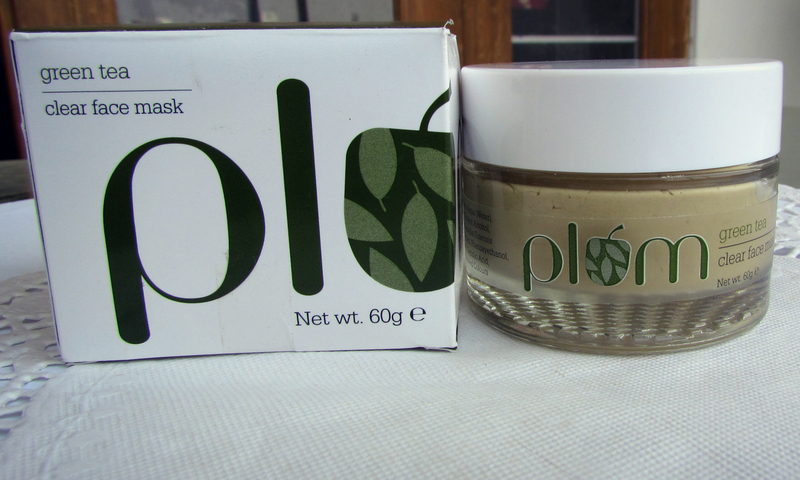 Overall, Its a great mask for acne prone – sensitive skin. Provides an instant clean-up for face making it radiant and healthy. hey, i have acne skin with acne scars. You have reviewed two plum face pack. which one should i buy? do respond. Thanks for the reply dear!! I was little skeptical whether to buy this mask or not because I already have 10s of mask like sandalwood etc.